A report from Just Yorkshire exposes the dangers of the government’s Prevent agenda. ‘I have seen the positive work of Prevent, which has stopped people from being radicalised or going abroad. It’s a fantastic tool and it’s here to stay’. That was Metropolitan Police Commander Dean Haydon’s response when asked in August this year by the BBC’s Asian Network about the Prevent strand of the government’s counter-terrorism agenda. 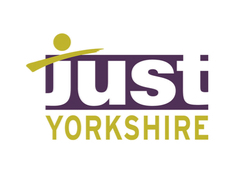 Commissioned by the racial justice and human rights charity Just Yorkshire, Rethinking Prevent shatters the myth that Prevent is a fundamental, fair or, indeed, ‘fantastic’ way of tackling the threat of terrorism. The report, which is co-authored by community activist, Dr. Bano Murtuja and Dr. Waqas Tufail from Leeds Beckett University, offers an accessible and evidence-based insight into how Muslim communities primarily experience and resist the intense and disproportionate focus of Prevent and the harms it can cause. We hear from thirty-six individuals, a large proportion of whom are from Yorkshire, including young Muslims, professionals who have worked with Prevent, academics, teachers, faith leaders, race-equality practitioners and charity experts. We learn how a narrow and racialised notion of radicalisation shapes an unequal power relation between public institutions practising Prevent and Muslims; how Prevent undermines human rights like free speech through various forms of censorship; and how Prevent fuels anti-racist protest, despite fierce efforts to suppress dissenting voices. Murtuja and Tufail’s study captures the everyday impact of a policy agenda that not only constructs Muslims as the primary threat to national security, but attempts to silence, harass and intimidate those who challenge its racist foundations. At the heart of the report lies what the authors call a ‘grassroots perspective’ on the supposed links between practising Islam, extremism and terrorism – links that are central to the concept of radicalisation, underpin Prevent and, thus, problematise Muslims as a suspect community. For instance, one respondent stated that ‘[a]nything from like your silence, to your family members, people who you don’t have any contact with, those are used as evidence of your extremism’. The authors also describe how the racism experienced through Prevent is compounded by what they regard as ‘[t]he feigned inclusion of the far right’ into Prevent policy guidelines. That’s to say, most respondents interpreted as misleading the suggestion that the inclusion of far-right extremism into Prevent now made it fairer − particularly as those referred under the measure remain overwhelmingly Muslim. With these findings, Rethinking Prevent supports existing campaigning and research that highlights the institutionalisation of anti-Muslim racism as a strategy for countering terrorism and the corresponding absence of trust in Prevent among Muslims. After exposing Prevent’s paranoid underpinnings, the report examines concerns over the forms of censorship and surveillance that materialise from its implementation. Extending their discussion of respect for ‘British values’ as a measure for determining who is and isn’t a risk to national security, the authors detail how Prevent prompts some academic writers to resort to ‘self-censorship’ when critiquing state principles, policies and practices. We also learn that self-censorship is something which Muslim students experience, with some avoiding classroom discussions on issues like Israel and Palestine and others ‘retreating from campus based activism’ for fear of being labelled ‘controversial’. Importantly, the report also acknowledges actual surveillance and censorship. We’re told a troubling story of a university Prevent officer demanding the names of students associated with the Islamic society and of Prevent officers attempting to disrupt and cancel campus events featuring debate about Prevent. The main body of Rethinking Prevent ends with an outline of how Prevent has politicised some people and resistances that have emerged. The report finds that most respondents opposing Prevent draw on ‘a rights based discourse’ that enables them to speak about, and resist the impact of, racially unjust counter-terrorism policies. We are also told about the resistance of public sector workers, with one respondent stating that some doctors attempt to oppose Prevent because of the severe strain it places on patient-doctor relationships, particularly in relation to matters of patient confidentiality. Although, the report adds that resistance to Prevent is ultimately restrained by the damaging consequences that can arise from scrutinising state policies. Furthermore, it warns that despite organised efforts to withstand the daily effects of Prevent, many young Muslims stress the ‘significant impacts to a sense of identity, belonging and citizenship’ the policy has. 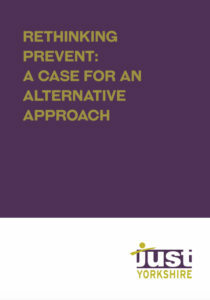 The report concludes that ‘the prevent strategy is not just ineffectual but actually counterproductive to its purported aims’ and recommends that the policy be ‘immediately withdrawn in order to prevent further human rights abuses’, while also calling for a ‘full and independent inquiry into the entire government counterterrorism strategy’. Rethinking Prevent, grounded mainly in the voices of those the policy disproportionately affects, provides, overall, an analysis of what should concern us about state counter-terrorism efforts while also being optimistic about ongoing challenges to its practices.